Even after having limited screens, Rani Mukerji’s Hichki witnessed a decent start! On day 1, Rani Mukerji’s unique tale minted Rs. 3.30 crores from 961 screens. Post her pregnancy, the supremely talented, Rani Mukerji, made her big screen comeback after a gap of 4 years. Unlike many other stars, Rani chose an unconventional film, Hichki, and amazed all of us with her stirring performance. Even after having limited screens, Hichki witnessed a decent start at the box office. Facing a stiff competition from Ajay Devgn’s Raid and Luv Ranjan’s Sonu Ke Titu Ki Sweety, Rani’s film got only 961 screens and yet it made more than 3 crores on day 1. That’s right! The strong word of mouth helped the film earn Rs. 3.30 crores on its first Friday. Hichki features Rani in the lead role of a teacher having Tourette syndrome. She takes upon herself the responsibility of changing few children's lives that come from the weaker section of the society. The film is an adaptation of Hollywood film, Front of the Class (2008), which itself was based on the book by the same name. Helmed by Sidharth P Malhotra, the film also stars National Award winning actor, Harsh Mayar, Supriya Pilgaonkar, Shivkumar Subramaniam, Neeraj Kabi, Asif Basra and Ivan Rodrigues in pivotal roles. Ajay Devgn’s Raid crosses the 50 crores mark at the domestic box office! 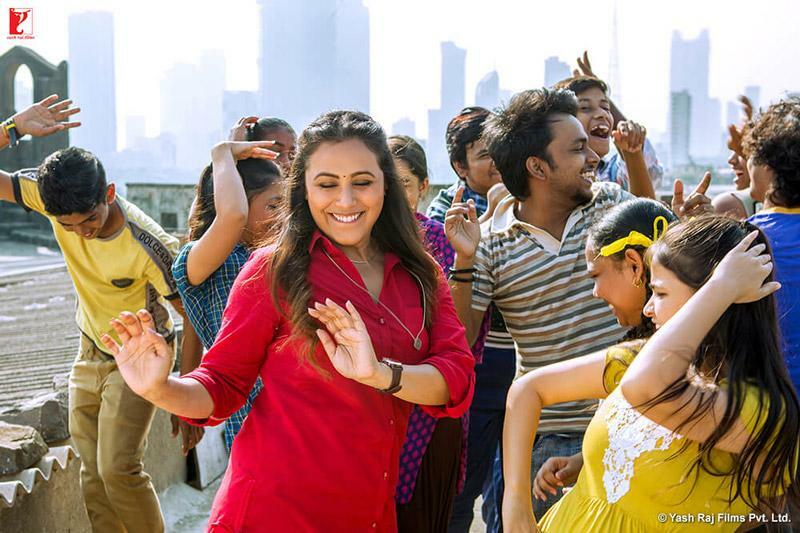 Rani Mukerji does not want to make Mardani 2 just for the heck of it! Sudhir Mishra’s Daas Dev gets postponed. The new release date is March 23rd!